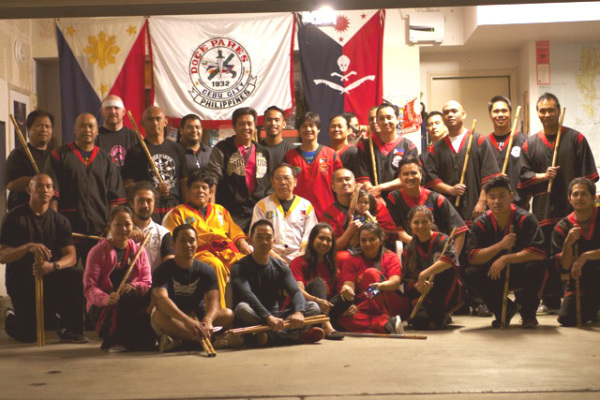 Doce Pares is actually the conglomeration of various styles that each founding Master brought into the organization when it was formed in 1932. There were those who favored the Corto (Close Range) while some had Medium or Long Range and even Espada Y Daga (Long and Short Blade) as their specialty. Each style complimented each other and it was indeed to the credit of the leaders of the group that despite the varying styles and principles, they managed to keep the organization intact for so long. 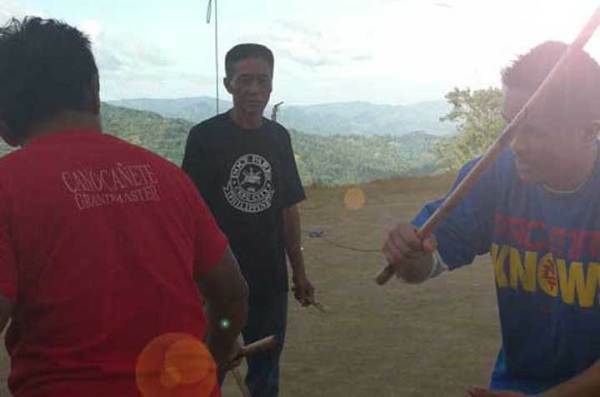 Because of this, subsequent members or followers were naturally taught with the different styles that each original Master introduced.This is precisely the one reason that some people are misled even until now about the real style of Doce Pares. 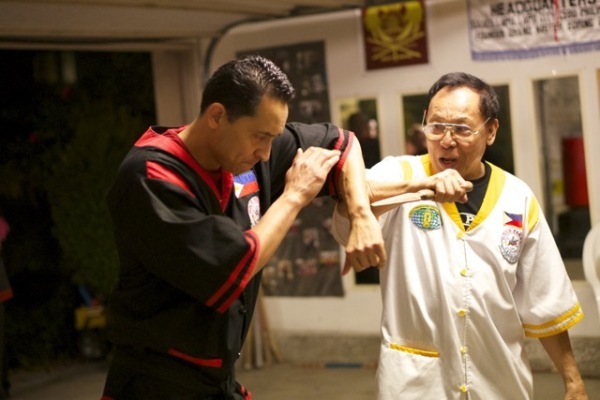 Through the years, some Masters have tried to put together and embody in one system these varying principles and styles, and this is what the Doce Pares System is about. Still, there are those who maintain partiality towards a specific type of style (i.e. Corto, Media Larga, Largo Mano, Espada y Daga) and yet still remain, highly regarded exponents of the system. 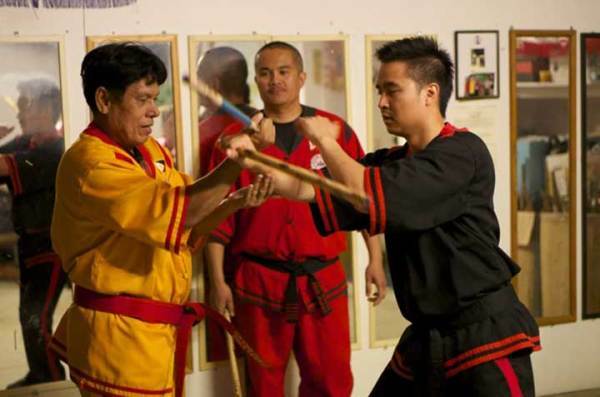 Presently, the Doce Pares Club – San Diego Council (locations in San Diego, Chula Vista and Murrieta/ Temecula ) and it’s Headquarters in Banilad, Cebu City, Philippines, maintains and preserves the legacy of Doce Pares Eskrima by teaching the curriculum of the Doce Pares Original “Multi-Style” System of Eskrima in addition to the system of San Miguel Eskrima. 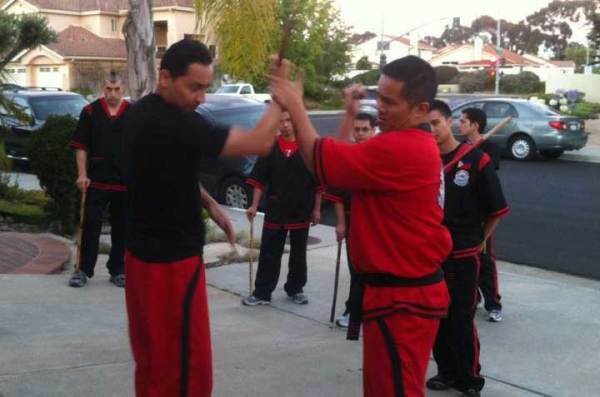 With the blessing and honored approval of SGM Dionisio Cañete ODL, we provide a rare opportunity to learn the San Miguel Eskrima system as certified or personally authorized by the following grand masters. 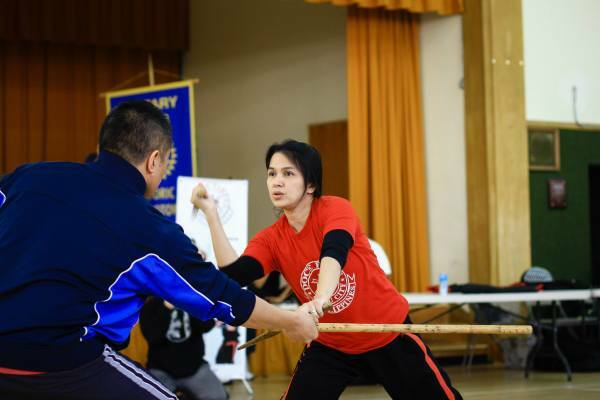 "Eskrima is unique from all other martial arts because the teaching approach is geared towards developing coordination through a variety of weaponry training- primarily sticks, but also daggers and swords.